No charges will be brought against an off-duty Philadelphia police officer who shot her husband in the driveway of their Bucks County home in April. 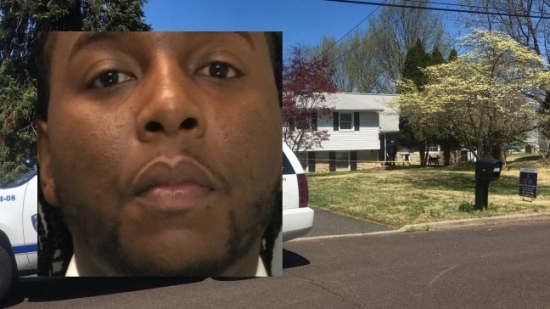 The shooting happened on April 18th at their Northampton Township home during an altercation. It has been ruled self defense. Police uncovered a history of abuse of Caren Perez by her husband David Perez. David has been charged with with stalking and simple assault. He is free on $75,000 unsecured bail. He is not allowed to he possess handguns and cannot have contact with his wife. The Camden County Medical Examiner testified today in the trial of David 'DJ' Creato, who is charged with the murder of his 3-year-old son. Doctor Gerald Feigin performed one of the three autopsies conducted on Brendan Creato. He was present at the other two. The exact nature of Brendan's death has not been determined but the medical examiner ruled the cause as being "homicidal violence of undetermined ideology." Feigin did note a brain abnormality consistent with oxygen deprivation that can be caused by asphyxiation, drowning, or strangulation. He couldn't say which caused it. The defense questioned him why a complete toxicology test was not completed. Feigin said he believed it was not necessary. When asked by the defense if he could determine where or when Brendan died, the medical examiner said "No." Jurors also heard from Brendan's pediatrician who said that the boy was in generally good health, but was treated for asthma the last few months of his life. Delaware County District Attorney Jack Whelan announced a new initiative to help curtail violent crime and illegal guns in the city of Chester. "Operation Safe Streets" will have Pennsylvania State Police Troopers patrolling Chester streets and backing-up Chester Police. Also, there is now a $2,500 reward for information leading to the arrest and conviction of anyone found in possession illegal guns. The Delaware County DA's office is contributing $100,000. That money comes from drug forfeiture accounts and casino revenues. In 2014, Whelan also raised private funds to pay for trooper assistance in the city. The money goes to paying the trooper's overtime and the rewards. The Bureau of Alcohol, Tobacco, Firearms, and Explosives has provided an on-site agent to handle the firearms. So far this year there have been 46 shooting victims and 10 unsolved homicides. "We know many residents in the city are forced to sleep in their basements," County Councilman Dave White said. The troopers will stay until the fall.